At Melbourne Recital Centre, we sell tickets to over 150,000 people like you each year who join us at over 600 events. When you buy a ticket to an event at the Centre via our website, phone line, or in-person at our Box Office, we guarantee you that the seat you buy is the seat you get. In addition to choosing where you sit in Elisabeth Murdoch Hall, your preferred delivery method and the full order details, you can be confident that your transaction is secure, your seat location is confirmed, and your tickets have been purchased from an authorised ticket seller via an authorised channel. Over the last 18 months, the resale market has gained significant momentum which has seen unauthorised ticket sellers and websites such as viagogo, Ticketmaster Resale, Stubhub, Gumtree and more advertise tickets to popular events across Melbourne with inflated ticket prices. 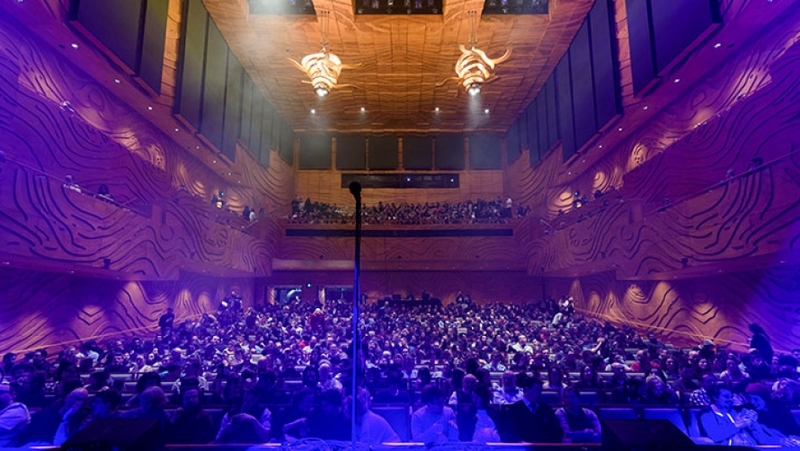 We want you to know that these secondary ticket sellers do not have arrangements with venues like Melbourne Recital Centre and are unauthorised to sell tickets to events that take place in our venues. Tickets bought via these means may be subject to cancellation. We do not support the reselling of tickets on unauthorised channels at inflated costs to music-lovers. As a not-for-profit organisation we work hard to make ticket prices as accessible as possible. The lack of visibility around the actual seats you are purchasing and when you will receive the tickets. Tickets being resold by individuals on these sites multiple times over, meaning that multiple people attend an event with tickets for the same seat. Tickets not being real or valid, yet money has been exchanged on a secondary platform such as PayPal or direct bank transfer. Tickets purchased on another platform are not covered by Melbourne Recital Centre’s terms and conditions of sale. We endeavour to be as transparent with the availability of tickets to our concerts as possible. Sometimes when a concert is sold-out, tickets become available and sometimes they don’t. You can trust that we will communicate swiftly and openly if and when this happens. The Government is making steps towards addressing ticket scalping, reselling of tickets and inflation of ticket prices (you can read about it here), but it will take time. We encourage you to consider this next time you purchase tickets to a concert, raise awareness with your friends and fellow music-lovers about the risks associated with purchasing from secondary or unauthorised channels and choose only to purchase tickets from authorised ticket sellers and venues, like Melbourne Recital Centre. We love live music, and we wish it was possible for everyone to secure a ticket to a concert featuring an artist that they love. Unfortunately, a lot of the time the demand for tickets outweighs the supply of seats available. We don’t want fans and music-lovers to be increasingly disappointed or disheartened following the purchase of tickets via the resale market. We want to help you be aware and stay informed. PS: If you would like more information, visit Australia Consumer Law’s website, read Live Performance Australia’s guide and check out this article on The Industry Observer.